Take your next meal surf side with Ocean Dream Melamine dinner plates. 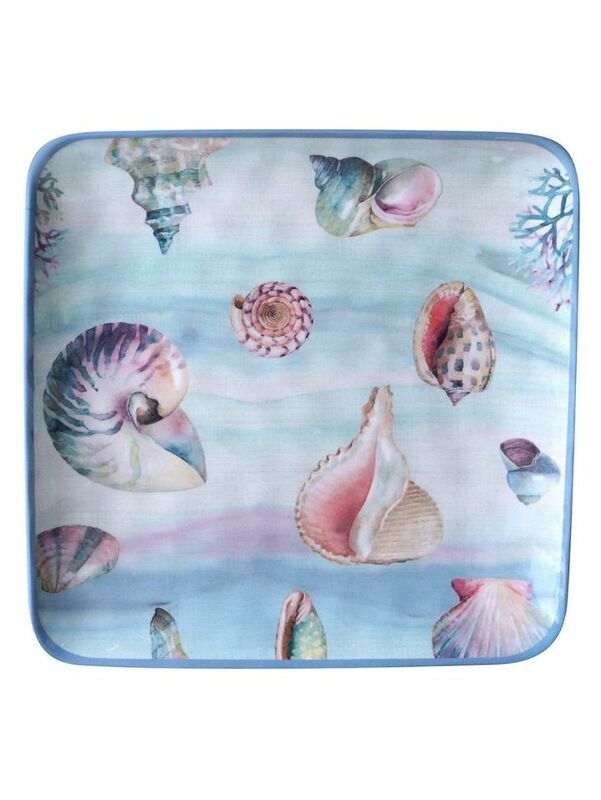 The intricate pink seashell design against a water color blue wave ground will bring a beach-like charm to your home. The 10.5 in. dinner plate is perfect for entertaining. Keep your furniture and tabletops free from watermarks and blemishes with the Dolomite Bright Lattice Tile Single Square Coaster.